For the bulk of the story I read with my sympathy firmly placed with Farrington. Yes, he’s a screwup. Yes, he has a drinking problem. But who can’t relate to the tendency toward procrastination at the office? Especially when you work is mundane, your employer is an obnoxious blowhard and your client’s perfume and expensive clothes only seem to mock you. 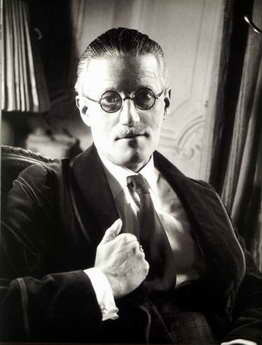 Just as he had my liberal bleeding heart bursting, Joyce put it to me with the concluding scene. My sympathies were ill-placed. Farrington is not worthy of any respect or slack given. He is a monster. Or maybe the closing scene only should turn my outrage even stronger toward the system that shows no concern for people in his position. I’m not sure, but like all of these Dubliners stories, there is much to consider and the issues are as relevant today in America as they were 100 years ago in Ireland. And that’s quite a trick on Joyce’s part.